Yahya Group Holding is pleased to announce the November 2013 opening of additional new villas and apartments to Dolphin Village’s residential resort community. 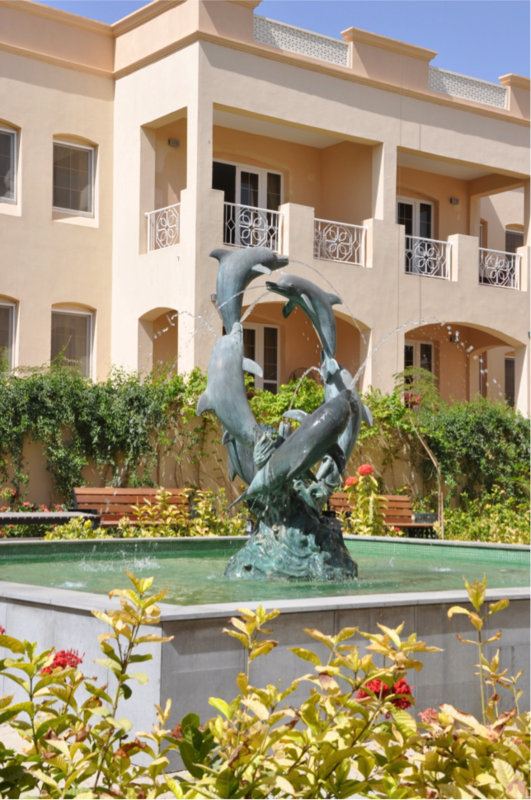 Dolphin Village is located in the rapidly growing Bausher area of Muscat. The Village is within a short distance of all parts of the Capital, and an easy drive to the Muscat International Airport and Commercial Business District of Ruwi. The gated neighborhood is home to primarily ex-pat families and is the place of choice to live. In a clean and safe environment, the community offers a variety of facilities for residents’ pleasure. Recently, a state-of-the-art gym and spa has been constructed. The gym will be opening shortly, with the spa following. These amenities, along with the future clubhouse currently being built, will continue to make Dolphin Village one of the premier locations to live in. In November, 36 new residences will be available as part of the current phase. 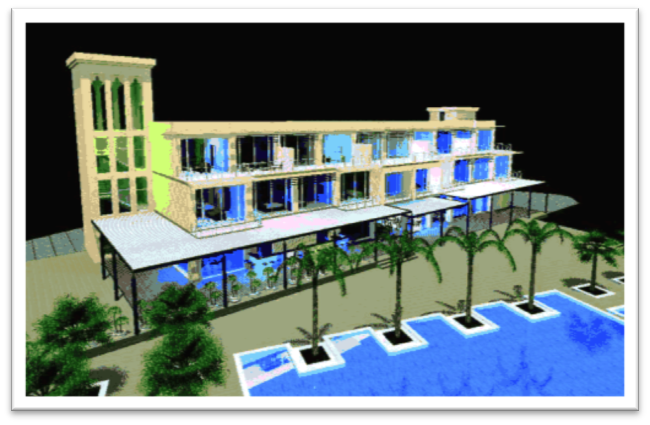 Dolphin Village will open 10 four-bedroom twin villas & 6 two-bedroom twin villas. An additional 8 three-bedroom apartments, 8 two-bedroom apartments and 4 one-bedroom apartments will also be opening. In the Village, all new and existing apartments & villas are two stories. Apartments are located on either ground level or the first floor; all villas have two floors. In January 2014, Dolphin Village will introduce 6 four-bedroom twin villas, 16 three-bedroom apartments, 8 two-bedroom apartments, and 4 one-bedroom apartments. This phase will account for 34 additional homes opening adjacent to a brand new in-ground swimming pool. This 1.9 meter deep pool will integrate a gradual slope feature for children or relaxation. The modern and efficient Dolphin Village will provide many options for our potential members as to the type of home and service that we offer. All residences are equipped with a refrigerator, stove & oven, washer, air conditioners, curtains, wardrobes, telephone line, multi-satellite TV channels, Wi-Fi, assigned private parking, gardeners, 24 hour maintenance, daily garbage collection, 24 hour security and onsite professional managers. Homes can be leased as unfurnished (including all the amenities above) to fully furnished & serviced residences. Services include housekeeping and laundry. Dolphin Village looks forward to the opening of our new gym & full-service spa coming soon. When completed in 2014, the Village will offer 337 homes, a clubhouse and three pools along with all our other amenities. 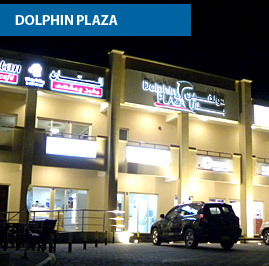 Dolphin Village has been in demand and enjoys 100% occupancy. The community continues to expand and grow together with its members. Dolphin Village – it’s where you belong. Construction of the new Dolphin Village premier clubhouse has begun. As the heart of the community, this clubhouse will provide residents a place to eat, drink, and relax in style. This first-class building will be eye-catching. Dolphin Village, located in the quickly expanding area of Bausher, is excited to offer their residents a top-of-the-line experience. The new building will be more spacious than ever, and therefore allows for several enhanced features & services. To create more of an open and engaging atmosphere, a floor to ceiling glass wall will be facing the pool with a unique indoor/outdoor bar and two-tiered restaurant. Full service can be enjoyed indoors at the restaurant or lounge and also on the deck overlooking the pool & natural beauty of the Omani mountains. The 3.5 meter deep pool slopes to a shallow area, so people of all ages can enjoy. Whether the large main pool is used for lounging or exercising, there is something for everybody. New decking technology will also be installed in order to reduce heat reflection and allow for better drainage. The newly expanded sundeck/terrace offers a panoramic view of the mountains and dunes. Completing the clubhouse will be a family area with Internet access for children to do homework, play games or just socialize. On the first floor of the clubhouse building, we will offer ten executive one-bedroom apartments with balconies. The top floor will include five penthouse apartments, each with its own private sun deck. The addition of the new clubhouse will enrich the luxury living experience provided at Dolphin Village. As the leading living community, Dolphin Village will continue to be the safe, scenic, modern, and friendly place it has built its reputation on.